In 2015, Coca-Cola™ produced the first bottles made entirely from plants. As well, Apple™ produced a line of 100% beryllium free products. Each year, companies around the world strive to manufacture a better, more sustainable and user friendly product than their previous efforts. 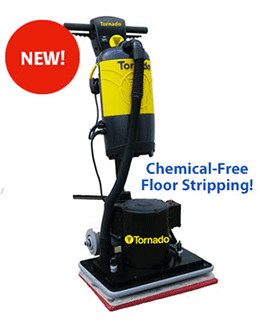 Tornado Industries is a leading manufacturer of sustainable cleaning equipment. Like Coca-Cola™, Apple™, and other market leaders, our newest products bring significant improvement in quality and sustainability to the industry. Meet Tornado’s newest product additions. 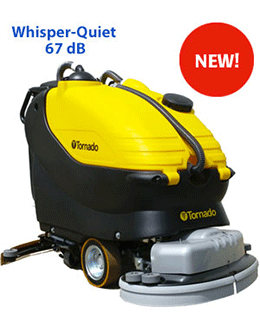 Tornado’s new BD 40/66 and BR 40/66 ride-on scrubbers not only further extends our ride-on offering, but offer heavy-Duty design, advanced engineering and unsurpassed performance to solve your toughest cleaning challenges. 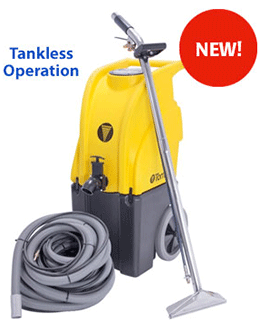 The BD 32/26 is a new addition to Tornado’s large, walk-behind scrubbers that offer superior cleaning performance, large capacity solution tanks and innovative features that help increase building occupants health and safety. No solution tank means quick set-up and easy operation. Dump valve set at ADA standard toilet height, allowing for quick and easy draining of recovery tank. 50 feet of hose ships standard. 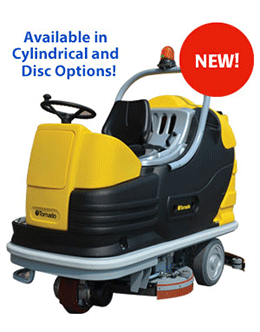 Compact size for simple transport and maneuverability. Large “stair climbing” wheels and front mount carrying handle to maneuver up and down stairs. The OB 20 from Tornado takes traditional floor machine operation to the next generation. This unit moves away from the traditional disc style to a square pad with high-end features including a durable ¾ inch think epoxy coated steel frame, 180 lbs. of down pressure, 3,530 RPM running speed and an extremely low decibel level the. All of this allows our OB 20 to excel at cleaning multiple hard floor types in a wide range of cleaning applications. 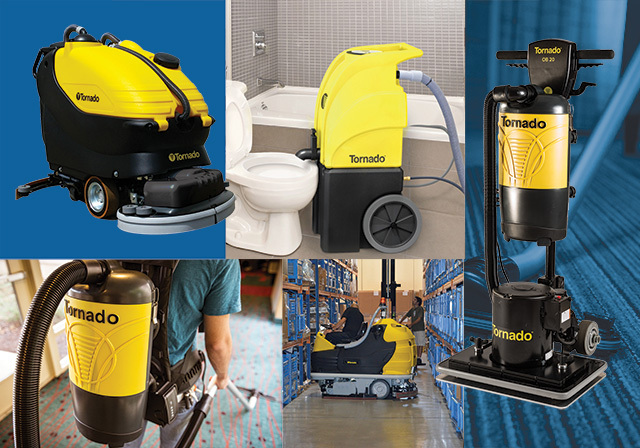 With the Pac-Vac 6 Roam from Tornado we are able to offer cleaning professionals something they have been looking for, a battery operated back pack vacuum with unrivaled comfort. No longer tied to a power cord, team members can clean larger spaces quicker and more efficiently than traditional back-pack vacuums. Batteries can be easily changed without taking the unit off of the operator’s back. 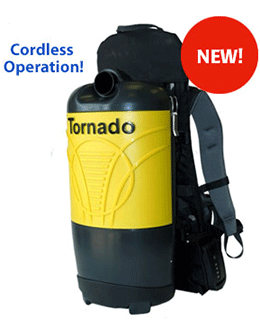 Tornado Industries does more then sell equipment. We help solve facility cleaning challenges. Let’s talk about your cleaning challenges in person. ← Leasing vs. Buying: What is Right for Your Equipment Needs?